Between October and November 2018, we had the absolute pleasure of backpacking India for 3 weeks. We have long wanted , the chaotic cities, the breathtaking countryside and, most of all, the Taj Mahal. Well, it’s safe to say that India more than passed our expectations. In fact, we loved it! We really didn’t expect to fall in love with the chaotic country as much as we did. Wel, we didn’t find it too busy (except for Mumbai and Delhi of course! ), it was one of the safest we’ve ever felt in a country, and we didn’t get sick. So it’s safe to say, never let other people's misconceptions allow you to decide whether you should go to a country or not. I’ve been to countries similar to India, such as Bangladesh which is similarly chaotic and overpopulated, so I kind of new what I was getting into. But if you visit India as your first backpacking country, then yes, it’s going to be a shock to the senses, but that’s the whole point. Trust me, you’ll leave with fond memories and a craving for authentic Indian food for months. So, to ensure you have a great time travelling this spectacular country, we’ve created this ultimate backpacking India guide filled with everything you could possibly need to know. India is a very large country and there are some areas you should avoid due to issues such as political unrest. You can keep up-to-date on areas that you should avoid by monitoring the news and local government websites. Our backpacking routes below include all safe locations to visit. Hepatitis A, Typhoid, diphtheria, hepatitis B, Japanese encephalitis and rabies are all recommended. Airtel sims have great coverage all over India. It costs roughly $8 for a 2 month sim, which includes calls, texts and 1.6 g of data per day. You can purchase a sim from any Airtel store and you will need a passport photo and copy of your visa. There are ATM’s all over India. Some refuse to take foreign bank cards and many have charges. If you use Revolut, then use Bank of Baroda, which is free. The history of India is incredibly in-depth. It includes the prehistoric settlements in the Indian subcontinent, the advancing of civilization from the Indus Valley Civilization to the blending of the Indo-Aryan culture which formed the Vedic Civilisation. The rise of Buddhism and Hinduism, the onset of powerful empire and dynasties for more than 3 millenia; including the advent of European traders, resulting in the establishment of British India. As well as the independence movement which led to the Partition of India which then brought us the Republic of India. Tipping is customary in India and 10% is the norm. The currency in India is the Indian Rupee (INR). Indian currency is a closed one, which means you cannot bring it into the country. You can exchange pounds/euros/dollars when you arrive, or you can withdraw from an ATM when you land (for this, I recommend Revolut). In most of India, you won’t find a massive party scene, except for areas like Goa, Mumbai and Delhi. In much of the southern parts of India, the malaria risk is seen as very low. However, in the regions further north, their is a relatively high risk. So speak to your doctor before going in order to see whether or not anti-malarials are advised for your route. The main religion in India is Hindu, with roughly 80% of the population practicing Hinduism. Other popular religions include Muslim, Christianity and Buddhism. The official language in India is Hindi; although English is widely spoken as well. India is a big country, and there are a variety of other languages spoken. However, it’s always good to be aware of some basic hindi (not that I was great in that department). Un-grounded 2 pin connections (Type C). India is such a large country that there are probably hundreds of different cities, towns and villages to visit when there. Of course, we haven’t been to every one of these places in India, but did manage to fit in what we believe to be many of the most popular backpacking destinations in India. So below is a list of our favourite places to visit and we recommend you give them a try as well. It’s based on where we visited in our 3 week backpacking India route. So if you’ve been wondering, “what are the best places to visit in India?” then look no further! Goa is the beach state of India and is actually the smallest state in the whole country. But don’t be fooled, this does not mean it’s small! It is still incredibly large to visit and you couldn’t possibly hope to do it all in just a few days. Goa is most famous for its gorgeous beaches which line much of the coastline and draw in hundreds of thousands of foreign tourists a year. So if you’re looking to relax and unwind on some of stunning beaches, then Goa is the pace for you. And if you want just a relaxing few days on the beach, as well as partying and super cheap alcohol, then well, Goa is still the place for you! Many people we met across India actually stated that they don’t class Goa as true India, seeing as it is so different from the rest of the country. This might have something to do with the fact that the Portuguese had rule over the whole state for more than 450 years! If you plan to head to Goa, which you should, then to help you find your way around the 50 or so beaches they have, check out this guide we wrote on the best beaches in Goa. 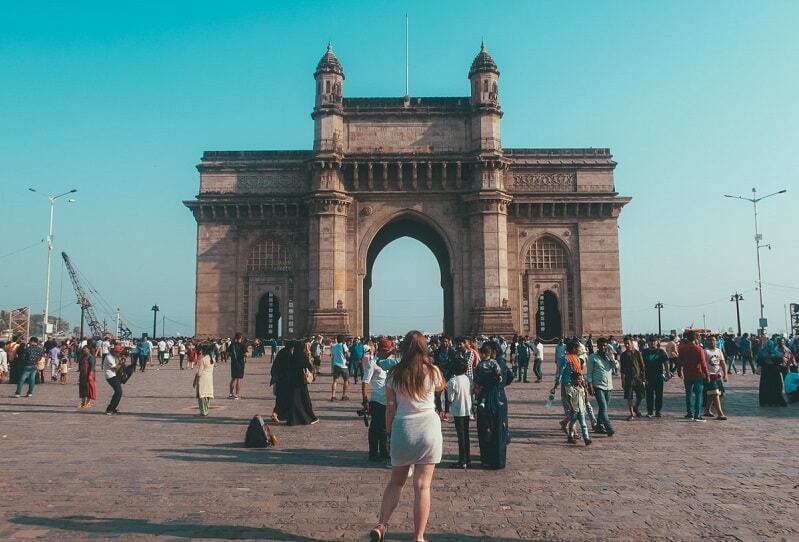 Mumbai has always been one of India’s most popular tourist spots, but the city got a whole lot more famous back in 2008 after the release of the movie Slumdog Millionaire. Though the slums have in themselves become a hugely popular reason for visiting Mumbai, don't let the slums and the hectic nature of the city put you off from visiting. In fact, we believe that this is the very reason why you should choose to visit Mumbai. It is an incredibly exciting city and, though we only recommend staying for a day or two, it is possible to cram so many great things in. There are some downsides to the city, such as the overwhelming amount of traffic and the smell that never seems to leave, no matter where you go! But it is a city like no other and one we are glad we visited. Popular things to see in Mumbai include the many Bollywood filming locations. Bollywood is becoming an increasingly big deal and Mumbai is the place to be if you are interested in becoming an Indian movie star or even just want to be an extra (which foreign tourists can do!). Udaipur is known widely as "The City Of Lakes” and, as you might imagine, it can be super beautiful. That is, of course, as long as you get out of the main city centre, which is very busy at all times of the day. We recommend renting a moped for the day and making your way outside the city and discovering the calm, peaceful world that lies just outside. We took a whole day to explore nearby forts and lakes, and particularly enjoyed watching the sunset over Lake Badi, which is very peaceful and much more secluded. Aside from this, there are plenty of wonderful things to see and do back inside of the city; most notably, City Palace. This palace served as home to rulers for more than 400 years and is spectacularly beautiful both inside and out. Be sure to eat dinner at one of the many open-roof restaurants located beside lake Pichola. We wish we could have stayed longer in Udaipur, but we had to get moving. Jodhpur is known as “The Blue City” and is iconic for it’s old town where all the houses are painted in, you guessed it, blue. There is so much to do in Jodhpur and the surrounding city, so a few days can be spent exploring. Once again, the most famous thing to do here is to explore the fort that lies in the heart of the city. Mehrangarh Fort is even grander than City Palace in Udaipur and commands spectacular views out across the entire city. If you visit Jodhpur when backpacking India, then make sure you go for a tour of the fort, which takes a good few hours to complete. However, this is not the best way to see the fort. Instead, it is best enjoyed from afar in the evening time once the sun has set. We stayed at Castle View Homestay which is not only incredibly affordable, but offers some of the best, unblemished views of the fort that you’ll find anywhere in Jodhpur. They have a rooftop restaurant that serves great food and drinks and you can literally sit for hours basking in the views of the grand palace atop the blue city below. Pushkar is one of the most religiously important places in all of India, and is a hugely famous pilgrimage site. It’s the only place in India that has a statue of Brahma, who is the Lord of Creation in the Hindu religion. It is said that all Hindus should make a pilgrimage to Pushkar at some point in their lifetime, and the famous festivals they regularly hold here push the cities hotels and hostels to bursting point. Even if you are not Hindu, it’s possible get a blessing here, which was a great experience that we highly recommend. Just be warned that they will put heavy pressure on you to make a donation (more than $150 per person) and then try and guilt you for saying you can’t afford it. This incredible disrespect paid by the people giving the blessings was a real blemish on their so-called faith. But still, don't let this put you off; instead, just be prepared to make a far more reasonable donation and hold your ground. What’s also nice is that Pushkar is in a much cooler part of India, located high in the mountains. The views all around are beautiful and, once you escape the hustle and bustle of the city, you’ll discover open roads for miles all around. Well, except for the large herds of goats you find in the villages nearby! Once again, we recommend hiring a moped and exploring the many temples and mountains on offer. As a heads up, you can’t drink alcohol or eat meat in Pushkar, which is just one more reason to try the fantastically tasty vegetarian food on offer. Read Also: 11 Perfect Places To Visit In Pushkar: Our Epic Guide! Oh Jaipur, the pink city that is bursting with atmosphere, forts and beauty. I love Jaipur and there is so much to see. Amer Fort and the Jal Mahal are only two of the amazing places to visit in Jaipur. Plus, it’s a haven for shopping. And the perfect place to spend Diwali (which is a chance we were fortunate enough to have!). I recommend using Uber and Ola to get around as the city is quite polluted (like most of India if I am honest) and it’s not fun sitting in traffic in a tuk tuk breathing in the air. So opt for Uber and Ola, plus you can pay card if you want to! As home to the infamous wonder of the world, the Taj Mahal, Agra needs no introduction. In fact, you simply must make a stop here for the Taj alone. You’d think that with all the hype it would be disappointing when you see it in real life….trust me when I say it’s not. Agra also has other sites to see, including Agra fort. It’s also worth staying for a night in order to watch the sunset at the Taj Mahal on the lakeside. But also be sure to time your visit to the Taj Mahal as early in the morning (so you can get a picture with no one else in it). Delhi is the capital of India and it’s hella busy. It’s also super big and, in order to explore the whole area of New Delhi, you would need quite a few days. It’s a good spot for couples and there is a real city blend of poverty, modernism and something in between. Whatever you want, Delhi will have it. If you need to buy presents, the markets in Delhi are the place to do it. And they are the perfect place to stock up your wardrobe, by buying cheap knock-off clothes that are the same quality as what the real brands offer. There are literally hundreds of amazing things to do in India. So it’s important that you narrow down what you plan to do before you actually visit. So to help you with this, here’s a quick summary of our favourite Indian experiences. Of course this has to be number one. We all know the Taj Mahal, we have all seen the pictures and perhaps even the love story behind it. I was SO excited to visit the Taj, but I was worried that because of all the hype, and the fact I have built it up in my head for years, that it would be a disappointment. I am so happy to say this wasn’t the case. It was even more breathtaking and beautiful than I could ever have imagined. It was truly a great bucket list ticking moment and I was so happy that I got to see the Taj Mahal in person. Especially since it’s thought to be crumbling. You must visit very early in order to get a picture of you and the Taj with no one else in it. It is closed on Fridays, and the busiest days are Saturday and Sunday. You can also book your tickets online (which is cheaper) and you won’t have to wait in the ticket queue before you get in the actual queue to get in. Remember to take socks as you can’t wear shoes in the Taj or the surrounding area. There is a long list of things you can’t take in. Which we found out when the guard confiscated a deck of playing cards we just so happened to have in our bag. So only take what’s truly necessary and nothing more. And yes, the “inside” of the Taj isn’t very exciting, it’s a tomb. But you don’t go there for that, you go for the amazing architecture. The fort in Jodhpur is great to visit during the day. There is lots to see and you get an audio guide with your ticket which tells you many cool facts. So it feels like you’re learning lots (which I like). But at night, the whole fort lights up and looks golden. Good accomodation in the Blue City will treat you to an amazing view of the fort whilst dining. It’s truly one of the best sights I’ve seen. I can recommend Castle Home Stay for amazing, quirky rooms, good WiFi, great food and a fantastic view. Do you like to party? If so, then you’re going to love Goa! Whether you’re into beach parties, raves, or even just good old live music, Goa has it all. There are so many beaches to choose from, that the only problem you will have is deciding which ones to visit. Thankfully, to help you out, I’ve already put together an epic post on the best beaches in Goa for foreigners. Did you know that Bollywood is in many ways bigger and more popular than Hollywood? Something like 60 movies are brought out a year, and you can witness the heart of the action in Mumbai. You can take a tour of the studios, or you can even try and get an extras role in a Bollywood production. Which would definitely be a trip to remember! Pushkar is one of the most religious sites in all of India and it’s a great place to receive a Hindu blessing. It doesn’t cost any money to get a blessing (despite what some people may tell you), but you can make a donation if you wish. Someone attempted to blackmail me into donating a ridiculous amount. Suggesting that if I didn’t commit to giving $150 I would have a terrible life because I had been blessed, which would turn into a curse if I didn’t pay. Truly ridiculous, and this came from a so called “devout Hindu”, who clearly views religion in a different way to what I do. Camel safaris are possible all over India, but you can often get day trips from both Jaipur and Pushkar. You don’t have to ride camels, you can simply camp in the dessert beside them and walk along next to them. I love the idea of camping in the dessert under the stars. Pushkar also holds a massive camel festival every year too! Jaipur seems to be the fort capital of India, and it’s got lots of amazing forts to see. My favourites include Amer/Amber Fort, due to it’s sheer beauty and glory; as well as Nahargarh Fort for its stunning evening-time views. You will probably need a couple of days to take on all the forts available in Jaipur. Udaipur has some beautiful lakes. The main one is called Pichola and the area surrounding it is filled with lovely restaurants and shops. You can have an evening meal on the lake and everything is lit up. You can also enjoy a boat ride on the lake, and a couples boat ride for sunset. There are other lakes outside the main city which are also untouched, beautiful and vast. The best way to get around is to rent a moped for around $4 per day and go visit the lakes yourself. If you don’t fancy driving, then you can get a tuk-tuk driver or uber to take you! Whilst in Jodhpur, make sure you head to the Blue City, which is technically the old city in the day time. This is so you can take some pretty cool pictures of the blue houses. Near the fort you’ll find blue houses and blue walls galore for that perfect Instagram picture. This is something I really wanted to do, but didn’t get the chance. You can arrange this as a 2 day trip from Jaipur, and there is a really good value tour here. Unfortunately, we ran out of time before our flight, and I would rather have stayed closer to the park than do a day trip. The park is only open certain times of a year, but this is one of the best places to visit in India if you want to see tigers. There is a high population of tigers and it’s the most well known spot in all of India to spot them. I loved India's food so much that I did a whole blog post on my favourite Indian dishes, so why not take the opportunity to learn how to cook your favourite dishes in a cooking class in Delhi. Delhi is a good spot to take a cooking class due to the sheer availability of different choices and prices. This one from Get Your Guide is a great choice. A drive from Manali to Rohtang Pass will take you some of the most beautiful landscapes and vistas you have ever seen. Lush green hills, picturesque waterfalls, steep and adventurous drive, awe-inspiring views, snow even in the months of June and July; whatever you desire you will find it in plenty at Rohtang Pass. You can visit here from Delhi, but it will take you around 12-13 hours, and you need a licence for a vehicle nowadays. Also, it’s closed on Tuesdays for tourists. This is something I didn’t do whilst backpacking India, but it was something I researched and I found this article here really helpful in my planning. I intend on re-visiting the country within a few years and doing this! The truth is, it’s hard to give just one answer to these questions, and honestly, it all depends on your personality. India is a MASSIVE country and you could spend a year here easily if you wanted to try and see everything! But most of us don’t have a spare year to dedicate to one country, so these India routes are perfect to see the highlights of the country, and the safest parts, in shorter periods of times (up to 4 weeks). This 4 week India itinerary will allow you to see all the best things India has to offer. From the beautiful beaches of the south to the cultural haven of the golden triangle, the beautiful Himalayas of the North and the tea country of the North-east! Kochi: Spend two nights exploring the historic fort town of Kochi. Then hop on a train to Goa, which will take up to 16 hours. Goa: Spend 3 or 4 nights exploring the beaches of Goa! Enjoy beautiful beaches and cheap alcohol! Then hop on an overnight train to Mumbai. I recommend 1st or 2nd class AC. Mumbai: Spend 1-2 nights in Mumbai depending on how much you like it. You can easily see all the sights in one day and people often find Mumbai quite manic. From here, you can fly to Udaipur for around $40. Udaipur: Spend 2 nights in beautiful Udaipur. Spend one day exploring the surrounding castle and sights, then rent a moped and visit the lakes of Udaipur. Get a bus or train to Jodhpur, it’s only about 5 hours. Jodhpur: 2 nights in Jodhpur is enough to see the city and it’s sights, if you want to explore the various day trips from here, then perhaps add a 3rd night. Take a train to Pushkar. Pushkar: 1-2 nights in Pushkar is enough to see the sights and experience the essence of the religious town. Hop on a taxi or bus to Jaipur. We used Uber! Jaipur: 2-3 nights in the bustling pink city of Jaipur. There is lots to see and do here. Grab a train to Agra. Agra: Take 2 nights (although you can do it one night) in Agra to see the Taj Mahal, and the other sights. The second night is to relax at one of the fantastic hotels on offer here. Next, take a Bus to Delhi. Delhi: Spend 2 nights in the capital of India. It’s manic, busy and polluted! But it’s a good spot to do some shopping. Rohtang pass: You can take an organised car or rent your own vehicle. This will usually be a 4 night trip. Darjeeling: Alternatively, you can go to Darjeeling from Delhi, which is where tea is made, naturally it’s coder there and very beautiful. A lot of these places require a day of travelling, so if you take trains everywhere, you could easily stay longer in each place! This is the 3 week India Itinerary Brad and I completed during our travels. We felt it gave us a real insight into Indian culture and we got to see the best of India in the time we had to travel. I didn’t want to rush and try to see too much, but I feel we got a great first impression from these areas and I would definitely return. Goa: We flew into Goa from Sri Lanka and spent 4-5 nights here just relaxing and visiting both north and south Goa. Mumbai: 2 nights: Crazy place, but worth a visit. Can see sights in one day if needed. Udaipur: 3 nights: Beautiful temples, castles lakes to be visited. Rent a moped and drive out of the city to experience some real beauty. Jodhpur: 2 nights: The blue city can be explored in a day, then the next day is to rent a moped and take one of the many day trips from Jodhpur. Pushkar: 2 nights: Cooler, pleasant and spiritual. 2 nights is a perfect amount to experience Pushkar. Jaipur: 3 nights: The pink city, should be known as the city of forts as there are so many things to see! Lots to do here, and a great way to experience India nightlife. Agra: 2 nights in beautiful Agra, enough to explore the Taj Mahal, and relax at the Radisson (oh yes, hello rooftop hotel with Taj Mahal view). Remember Taj is closed on Fridays! Delhi: 3 nights in Delhi is enough to experience the madness and it’s a good place to fly out to your next destination/home as it’s the capital! 2 weeks isn’t a long time in India, so a good idea is to stick to the Rajasthan state, and see the golden triangle. This 2 week India backpacking route will allow you to see many of the best forts and tourist hotspots that India has to offer. Mumbai: 2 nights is enough to see iconic Mumbai. 1 day to explore, the other to relax. The sunsets in Mumbai are spectacular. Udaipur: 3 nights is perfect to see the top sights in Udaipur, and the surrounding lakes. Don’t miss out and rent a moped to see more of this fantastic city. Jodhpur: 2 nights is the blue city is enough to see the amazing fort and the surrounding sights via moped. Jaipur: 2 nights in the pink city to experience cultures, delights and lots of amazing forts. Agra: 2 nights is needed to see the amazing Taj Mahal and the sights from the hotels. Delhi: 2 nights in the manic capital is enough to see the sights and hit up the markets! If you only have 1 week and want a quick taste of India, then this should be your route! It’s going to be busy, but totally worth it. I recommend taking guided tours to see and learn and much as possible. Delhi: 1 night: when you land, check out a few of the sights, then get ready to hop on a bus to Agra. Agra: I think it’s worth spending two nights in Agra, to explore the Taj and stay in one of the amazing hotels and relax. Jaipur: 2 nights in Jaipur to see all the sights and experience the local food and culture. Pushkar: It’s not far from Jaipur, so enough to head for either a day trip, or overnight to experience the religious town of Pushkar. Delhi: Then it’s back to Delhi to hit up the markets and collect souvenirs before you head home. 1 week will basically be a jam packed holiday, but you’ll get to experience some of the best parts of India. Hopefully one of the itineraries will suit your time in India. As of writing, all these places are safe for tourists to visit, but you should always monitor the situation online and be wary of any issues. The peak travel season for India runs from November to January. This is largely because the weather is mangable, although it’s still very warm. In the Goa area of the country, you should expect around 33 degrees celsius and the further you get to Delhi, I would expect mid to high 20s. We didn’t experience any rain, but because it is high season you may find that the generic tourist sights are quite busy. I read on a blog before I went that we would have to book our accommodation really early in advance because it would all book up. This isn’t true, you can book accommodation the night before and there will be plenty of choice! The Indian visa is by far the most complicated and most frustrating visa we have ever had to apply for, however it is necessary. Also, I suppose it must be a little easier now as you can apply online. Whereas, back in the day it was a very long process to get a visa. I would put aside 30 minutes to do this visa. There is a long list of questions, around 3-4 pages worth asking you everything from tattoos on your body to your parent’s jobs. Make sure you fill out the application form ahead of time, at least a week before you plan on entering India. It took about 3 days for our application to be approved, but it could take longer. Make sure you take your time entering the information as if you enter something wrong and pay, you cannot edit it. You will have to buy a whole new visa. Visa costs for Bradley and I were different because I have an Irish passport and he has a British passport (mine was less). It cost $80 for me and $100 for him. Print off your successful visa form once its been approved, as you will need it as proof at the check-in desk if you’re flying. We flew from Sri Lanka to India, and you need to have proof you are leaving the country, such as an onward flight. We didn’t actually have our flight from India to Kathmandu booked yet, but we had a Kathmandu to London flight. This was acceptable after a lot of chat because the Kathmandu flight was still within our visa period in India. One tip I’ve since learned is that if that you book a flight with Expedia, then you can cancel it for free up to 48 hours later. So if you need proof on onward travel, then you can do this, then get your money back and rebook a flight for a future date that you actually want. Believe it or not, this is the official Visa Application Website … even though it’s not very well put together! How Do You Get To India? Well, you’ve got a couple of main options. The main way to get to India is flying. Many destinations all around the world offer direct flights to Delhi, or even Mumbai. Flights to and from India from London are very cheap, and even in peak season you can get return tickets for $360 - $400. Just give yourself a week to get it sorted. I recommend using Skyscanner to check for flight deals for backpacking through India. You can also cross land borders from Nepal, Bangladesh and Pakistan, although I really have no idea how this works! Instead, I recommend checking out this really in-depth post from Lonely Planet. When it comes to getting around India you have a lot of great options. From driving your own tuk tuk (something we did in Sri Lanka), to trains, buses and taxis. The bus network in India is well established for both locals and tourist buses. We used a website called Red Buses to book our bus tickets and we didn’t even need to print any tickets off; instead we just had to show them on our phones. Buses run all throughout the country; but naturally, the more popular areas with more tourists tend to have a better variety of buses. This includes places like Agra, Delhi and Jaipur. The train network in India is large and brilliant. You can get a train pretty much anywhere and it’s super cheap. Seating: This is a basic seat, with no air conditioning and typically no reservation is needed so it fills up quick. You’ll have people sitting on the floors etc. Okay for short journeys. AC seating: This is a normal seating train with air conditioning. You’ll have an assigned seat which means you’re guaranteed a seat. Good for short journeys, such as Jaipur to Agra. Sleeper train: Long distance carriage for overnight/long trains. No AC, a bit little cattle in a cage. No organisation, not my cup of tea, but very very cheap. 3rd class: You get a bunk bed, but no AC and no curtain for privacy. On some trains they will give you a blanket and pillow. 3AC: We travelled in 3AC. It’s the same as 3rd class but you get air conditioning. Fine for long journeys during the day. No curtain for privacy. 2nd class: You’re own bunk with curtain, blankets and pillow, no AC. 2AC: same as above but with AC, we also travelled in this class and it’s was my most preferred. It’s a little more expensive, but people are always walking up and down the train, so you can actually sleep here. P.S ... if you get the bunk bed next to the train door, you will have a whole area to yourself if you’re a couple travelling! 1st class: You’re own bedroom, with AC and food as well. On some trains you have someone assigned to you to help with luggage etc. 1st class and 2nd AC sell out months in advance. So if you know when you’re traveling to India and want 1st class, then book right away. We didn’t get any 1st class due to this. All the toilets on the trains are disgusting in all classes, but generally the higher the class “the cleaner they are”. Not clean by Western standards. There is always a Western toilet and a Indian toilet on the train. They’re both as horrible as each other. Hold your breath when going to the toilet, and bring your own toilet paper as when it runs out in the Western toilet, it isn’t replaced. You can buy food and snacks on board for cheap prices. We ordered something and it was inedible because of the sheer level of spice. You will have people shouting the sale of Chai Tea all through the night. If you insist on doing it yourself, go to the train station on the day you arrive, or book your departure tickets as soon as you arrive. You need a passport to book train tickets. You can get intercity flights in India for very cheap prices. Naturally, they are more expensive than a general train, but they are usually cheaper or the same as booking a first class ticket on the train. We used internal flights once from Mumbai to Udaipur because it helped speed up our route and we were on a time limit. Plus, overnight train journeys eventually take a hold on your sanity. You can use Uber and Ola for long distance travel in some parts of India. We used Uber to get us from Pushkar to Jaipur for around $20 which was cheap, convenient and a 4.5 hour journey! I strongly recommend you use Uber/Ola and tuk tuks to get around in the cities. The only place that doesn’t have Uber and Ola, in our experience, was Goa. The state sets taxi prices in Goa, so there is no real way of getting out of the prices, unless you’re a good haggler. Though we didn’t do this ourselves, it is possible to drive a tuk tuk (rickshaw) in India.. The same company who we rented our tuk tuk off in Sri Lanka has also set up in India, so if you want you can do a similar thing there too. However you will need to do more research online to find out other companies, the right sort of price and any additional insurance cover you might need. Also, though I keep calling them tuk tuks in this post, they are actually called “rickshaws” in India. There is also a rickshaw challenge that takes you all around India if you’re up for it! The number of people opting to take on the challenge of backpacking India has grown massively. Thanks to the ease of travel, the amazing sights and how budget friendly it is, it’s becoming more popular than ever. As such, you’ll find that most of the major cities now offer a massive range of hostels, hotels, resorts, villas and homestays to sort all budgets. So, we decided to help you out and save you spending hours and hours searching through all of them in order to find great deals. We have compiled all of our research into helpful guides that list the best accommodation options in each of the major India backpacking spots. We will update this section as we add more hotel guides in India, but for now check these out.. So not only are they cheapest, they have some other really great perks. You can search for accommodation throughout India here. India is an extremely warm country, so you’ll want to pack light clothes that allow your body to breathe. India is also very conservative, but not to the point where you need to cover your shoulders or knees etc. It’s about being respectful, so don’t wear anything that will cause offense. When at the beaches in Goa, you can wear a bikini without issue, but as a sign of respect, it’s also nice to bring a little saarong to use to cover up when needed. 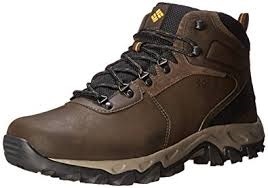 Good walking shoes, I recommend Skechers Go Walk shoes, for both men and women. They’re comfortable and look nice. You can walk for hours sightseeing without sore feet. A sarong: for the beaches, or they’re useful for sitting on during a picnic. So there you have it, your clothing for backpacking India won’t be much different than other backpacking destinations; simply pack light and don’t show too much skin in conversative areas. If you are heading north to the colder regions of India, then naturally you are going to need warmer clothes. You can pick them up cheap within the country, or bring them in with you. Whichever you decide. I bought jumpers at the market in New Delhi for $1 and was able to pick up gloves, hats and scarves for under $1. It’s super cheap at the markets, and usually the winter stuff is sitting a discount basket, which makes it even cheaper. Since we were there near Christmas, I actually bought myself a $1 Christmas jumper hehe. All these cold clothes are useful if you decide to backpack Nepal after India. Here's some of the most important things I recommend you pack for India. Ever since we started travelling full time, we have used Osprey backpacks. They are well-made, look great and are very practical. 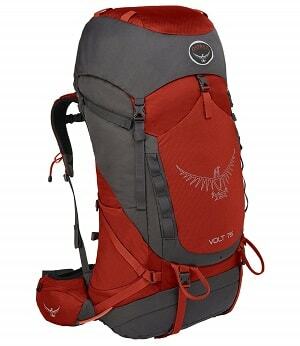 In fact, when backpacking India and other parts of Asia, the most common backpacks we see getting used are Ospreys! Comfortable shoes are a must have in any India packing list. You will be doing lots of walking around the cities, most of which are lined with old cobbled streets. So we recommend shoes that have good padding. Cazzy uses Skechers Go Walk trainers as they are stylish, as well as comfortable. If you are doing more serious walking, then shoes with good ankle support are a must. Many travelers take only hiking shoes with them as they are practical for most occasions. However, we find that they are a bit too heavy and clunky to have unless we plan on using them most days. So up to you really. 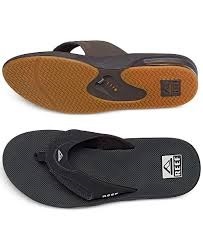 Having bought dozens of pairs of flip flops over the years, by far the best we have tried have to be those made by Reef. 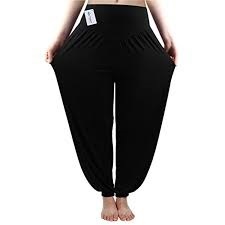 They are well-made, very comfortable and great for long distance for walking. Yes, they are more expensive than most flip flops but this is because they will last you much, much longer. They also have a bottle opener on the bottom, in case you needed one more reason to give them a go! 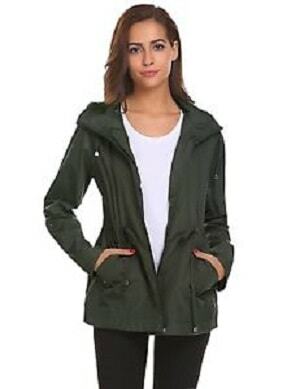 If you plan on visiting the colder regions of India, then a good quality, fleece-lined jacket is a must. It gets much colder up there and this will certainly get it’s fair use. If you are only visiting cities in the south, then a thin jacket will probably be fine for the evening time when it get s a bit colder. Just be sensible and look at the time of year you are planning on visiting India. Once again, if you will be experiencing colder weather or doing plenty of hiking, then long trousers are a must. They also come in handy for when you visit Indian temples and need a way to cover up. Temperatures in many Indian cities regularly exceed 40 degrees Celsius! And if you are out and about for many hours of the day, then you run serious risk of catching sunstroke or worse. 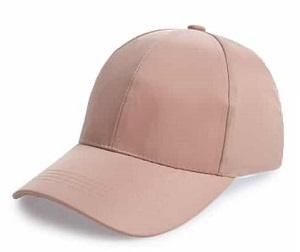 So take a cap with you and keep the worst of the sun off your face. In most big cities, we actually found that mosquitoes weren’t too much of a problem. However, if you plan on visiting countryside areas or many parts of Goa, then mosquitoes and other bugs become a much bigger problem. So take a bottle of deet bug spray with you and keep them at bay. Also remember, if you are in a zone that is at risk of malaria, then speak to a travel doctor and take some form of antimalarials with you. 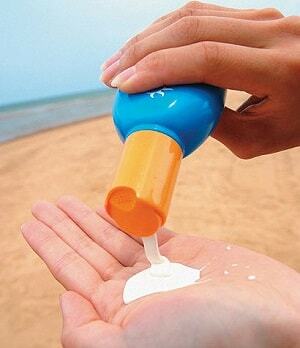 We tend to find that buying sunscreen at home and taking it with you is much, much cheaper than buying it abroad. This also applied to India where it can be very expensive to buy. We recommend factor 50+ so as to minimise the risk of sunburn and worse from those hot Indian days. 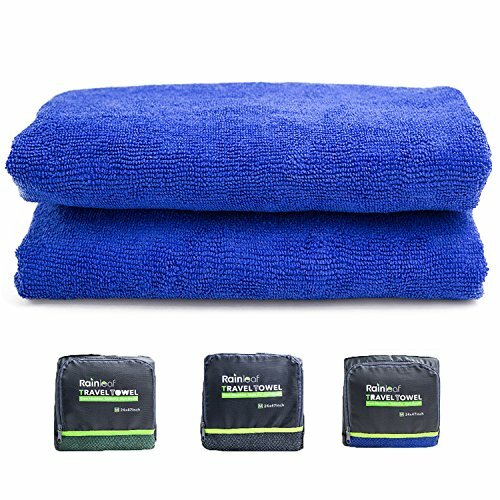 Microfiber towels are great for travelling India as they are small, lightweight and dry very quickly. Perfect if you plan on staying in hostels. If you stay in hotels most of the time, then you will find that they almost always provide you with towels. But it’s still useful to have a microfiber towel with you for day trips to places where you plan on swimming. 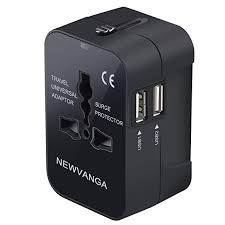 As standard, we take international travel adaptors with us everywhere we go. They are a must-have for all the gadgets you have with you, such as cameras, phones and laptops. As discussed at the top of this post, in India they use grounded/earthed 3 Pin connections (Type D) and un-grounded 2 pin connections (Type C). To help you make the most of your time in India, we recommend picking up a few books to enjoy as a part of your visit. They can help you with everything through from planning your India itinerary, to better understanding Indian history and culture. Rather than carrying physical books with you, I recommend picking up some sort of tablet. 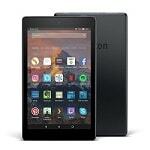 Kindle Fire allows you to purchase hundreds of books from Amazon and carry them all with you at once. Saving you a lot of space and hassle! 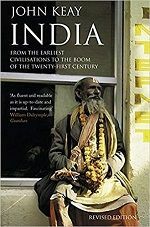 If you want to find out more about the history of India (which is a turbulent and interesting one), then this is a great book. It’s often a good idea to have an idea of the history of any country you are visiting, it allows you to connect with the people more, and you can appreciate the sights and discoveries on your journey through India. 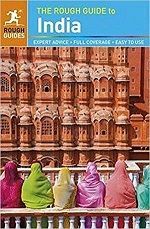 Lonely Planet are well known for producing great travel guides, and there India one is also great! They are good if you want to find hotels and hostels and restaurants without using the internet. Yano, the old school backpacking way! The question should be “what not to eat in India?”. India has some of the best food I’ve ever had in my life. Everything is authentic, freshly made and delicious. If you can’t handle spice, say “no spice” because it still comes out slightly spicy. So normal spice in India is like high level spice in the UK. Typically, spice is given at all three meals, but you can opt for simple eggs for breakfast if you wish. When eating street food, it’s best to bring your own cutlery as most Indian people just eat with their hands. Some dishes you can expect include lots of Paneer based curries such as Paneer Butter Masala, Paneer Tikka, and much more. Paneer is cheese and in places that are highly religious like Pushkar, you can’t actually get meat, so Paneer will be your new best friend. It helps that it is delicious. Chicken dishes are common in curries, but you can also get mutton and fish. Roti, chapati and naan are the most common sides with your curry, and rice is also available. I’ve done a whole guide on the most popular Indian foods if you’re interested in discovering more. But really the only problem you’ll have with Indian food is the fact that you can’t get the same quality, taste (And price) when you return back home. Uber & Ola: Uber is almost worldwide now and provides so much ease and convenience when travelling. It’s also a useful too to avoid being ripped off, which Indian people will try to do when they see white skin. Uber is available throughout India apart from in Goa. 3. Airbnb Experiences: I wouldn’t recommend Airbnb for general short stay accommodation in India. But it’s as good as ever for long-term rentals. The Airbnb vibe isn’t as big in India, but they do some good experiences. This is the newest thing that Airbnb offer and it basically allows you to partake in local activities organised by locals. It will allow you to have a cheaper and more authentic experience, so I think it’s cool! India is one of the cheapest countries in the world for backpacking. You could easily survive here on $10 if you were sleeping in the cheapest room, eating the cheapest food and travelling on the lowest class. Since it’s so easy to budget travel if you wish, it also means that if you fancy splashing out, your money goes quite far. Bradley and I don’t do super cheap backpacking, as in, we don’t stay in dorm rooms (unless we are desperate), and we eat in restaurants and travel in comfortable ways, rather than the cheapest way. I just find travel more enjoyable that way, but saying that, in order to achieve that, you’ll need an average budget of around $25-30 per day. You can easily spend less, and more. It all depends on what you want. But I would say that’s a fair estimate for something in the middle. Food is the cheapest thing in India. Even when you’re dining in a lovely restaurant, you’ll find it hard to spend loads of money. We even found typical chains that are quite expensive in the UK, Hard Rock Cafe or TGI are much cheaper in India than home. BTW, no judging, I like American diner/restaurants, so shh. Since breakfast is included in most hotel rates, I’d say you’re looking at $10 a day on food, but you could easily do less (which we did most days) and more if you wanted. Travel is super cheap in India, especially if you’re looking to travel on the basic level. You can get 10 hour train rides for a couple of dollars. This isn’t my style of travel, but even traveling in 2nd class isn’t too expensive. Overall I’d roundup around $15-20 for travel. Alcohol is relatively cheap in India. Beer is very cheap and in Goa, spirits are stupidly cheap. STUPIDLY cheap, which also leads to a massive hangover! Anyway, local wine is around $3 a bottle but tastes terrible, and wine brought in from abroad is taxed heavily so it’s generally a rip off. You can drink beer in restaurants for very cheap. I actually didn’t drink a lot in India, I preferred Chai tea and Iced coffee! Bradley and I travel with our Mavic Drone (Baby Mavic). Unfortunately he could not be used in India. Basically, it’s illegal for foreigners to fly a drone, and I don’t think it’s worth the risk. I read many stories of people flying at beaches where no one was around and the police turned up, and I’ve heard successes stories. But I don’t think the risk is worth losing a drone worth over $1300. Use Revolut - Revolut is a travel card/app that offers the best exchange rate on the market. You top up via your phone and each month you get £200 worth of withdrawals free, then it’s 2% on anything over that, which is still the cheapest on the market today. It’s also free to use your card in all places and there are some really good features on the app such as being able to send money between people and requesting money and generally keeping track of your expenses. You don’t get charged an ATM withdrawal fee on top of that, but some banks in India may issue their own. Above I listed the ones which are free under ATMS. PLEASE NOTE: when you are using a travel card and you are withdrawing from an ATM, when the machine brings up the exchange rate they are offering and you have a choice of “accept conversion” or not, you DO NOT accept the machines conversion, you press the other button, to use your card/banks conversion. Many people make the mistake of clicking the wrong button then wonder why they’ve got a bad exchange rate. So, if you follow the right method, you’ll get the right exchange rate, the best on the market. It’s not a scam, it’s simply set by the thingy/board that sets exchanges rates. So, there you have it, our backpacking India guide. 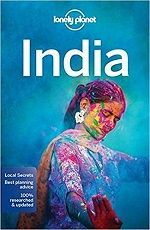 I hope that after reading this you are excited about visiting India and have lots of knowledge and India travel tips that will help you travel India. If there is ANYTHING else you’d like to know, then please drop us a message we will any answer any questions we can!